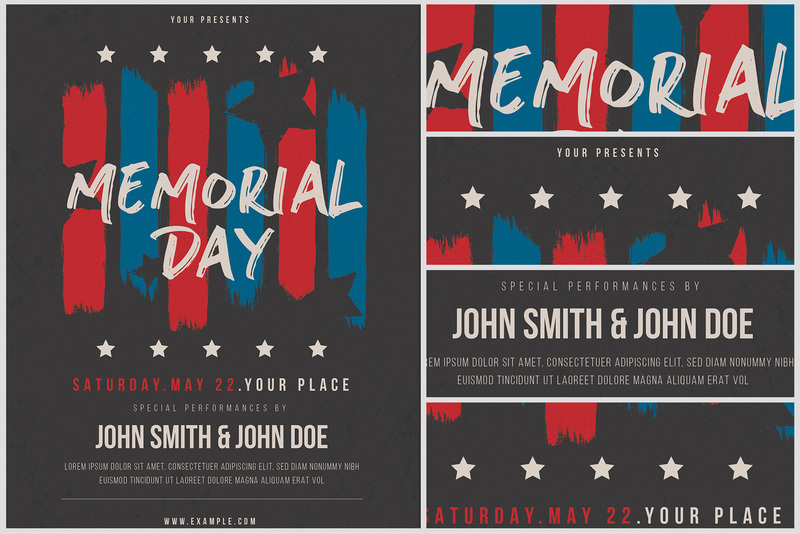 Holding a Memorial Day party at your venue? Promote your special event with this stylish flyer! 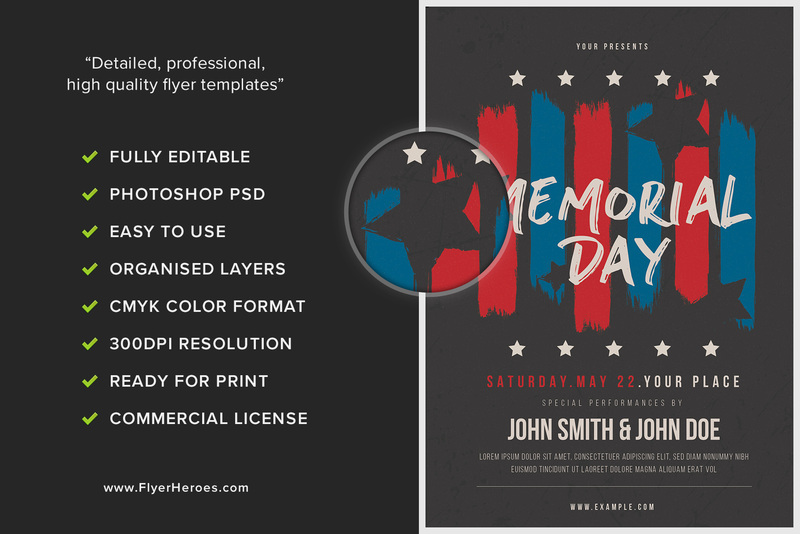 This flyer features a clean and simplistic design with a patriotic color scheme. The dark gray background filled with abstract paint splatters creates the perfect contrast for your text. 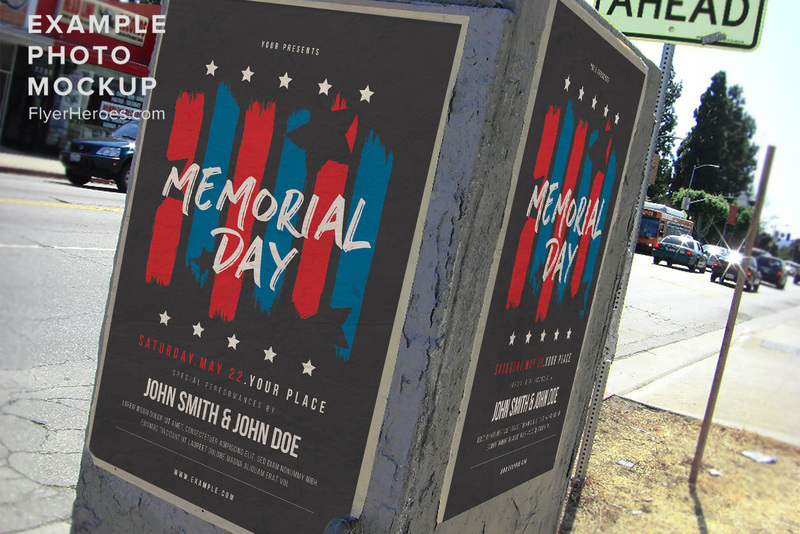 Red and blue paint lines draw your eyes into this colorful Memorial Day flyer. A variety of unique fonts, styles, and sizes were used and can be customized to cleanly display your special event information. 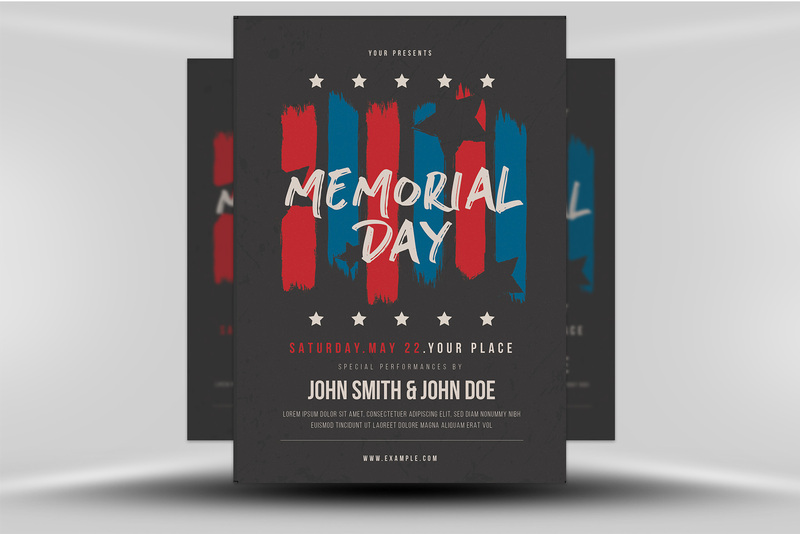 Use this flyer to promote your Memorial Day event at your bar, restaurant, work party, or other venue!